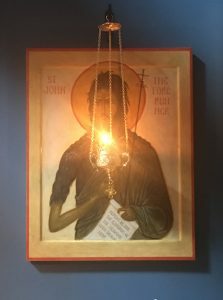 God has blessed us with five wonderful icons for the further beautification of our Church, which is dedicated to the feast of the Protection of the Mother of God (celebrated October 1/14). 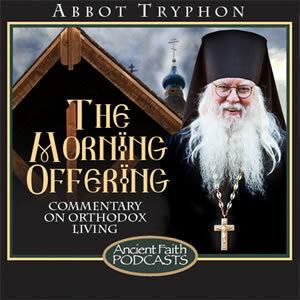 Two of these icons were painted by Matushka Anne Margitich of St. John the Baptist and a “close-up” of the Theotokos holding her omophorion of protection and supplicating Christ taken from the icon of the Feast of the Protection itself. 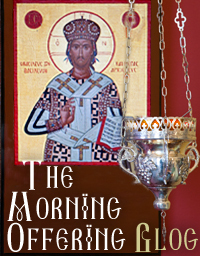 Matushka Margitich has also painted the other icons on the Church’s iconostasis and in the high place of the altar. 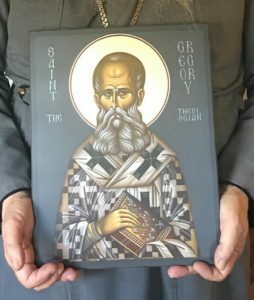 Another icon was painted by John Shayne Swenson of St. Gregory the Theologian, upon which a relic of that saint has been placed. 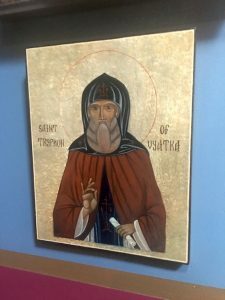 Two other icons were painted by Barbara Orsborn – one depicting the arrival of the Valaam Monastery monks who first evangelized the native peoples of Alaska, and the other of St. Tryphon of Vyatka. Previous Post: Welcome to our new website and online store! Next Post: A new sign over the monastery entrance….